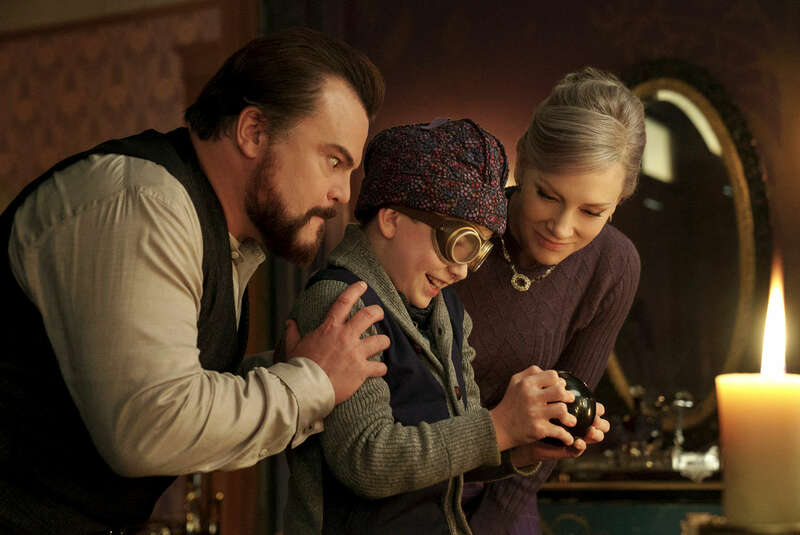 (L to R) JACK BLACK, OWEN VACCARO and CATE BLANCHETT star in The House with a Clock in Its Walls, from Amblin Entertainment. The magical adventure tells the spine-tingling tale of 10-year-old Lewis (Vaccaro) who goes to live with his uncle (Black) in a creaky old house with a mysterious tick-tocking heart. But his new town’s sleepy façade jolts to life with a secret world of warlocks and witches when Lewis accidentally awakens the dead.